Aside from his Small Claims Court litigation practice, Jahne also assists individuals that are victims of criminal acts, and represents them with claims for compensation at the Criminal Injuries Compensation Board. He services a wide range of clientele, and every client relationship is valued greatly and treated with dignity and respect. Each engagement benefits from the depth and breadth of his expertise. He has worked on high profile nationwide litigation matters, various civil litigation practices, and financial institutions, since 2008. 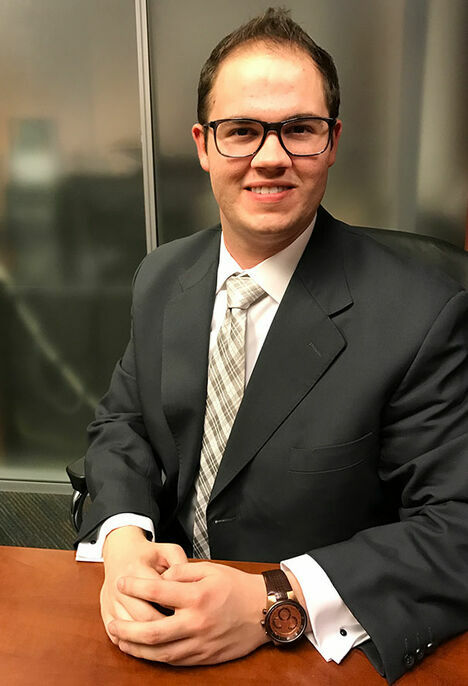 Holding a degree in Paralegal Studies and postgraduate certificates in Dispute Resolution and Financial Planning, Jahne's multifaceted and unique educational background and legal experience distinguish him from other Paralegals in Ontario. Given his background and strong knowledge of the legal industry, Jahne's primary emphasis is on providing his clients with the highest level of legal service, while simultaneously maximizing cost efficiency. Jahne assists clients in English, Spanish and French. Jahne provides legal services in the Ontario Small Claims Court and the Criminal Injuries Compensation Board. Jahne has a well deserved reputation of excellence in providing smart, sensible, and cost effective legal solutions to his clients. Often, more than one area of expertise is required within Ontario Small Claims Court litigation. At the firm, there’s no need to hire a multitude of legal professionals. Jahne can advocate for you in many areas of law. Jahne has a wide range of experience from various projects and employment. Jahne has a merited reputation of excellence in providing smart, sensible, and cost-effective legal solutions to his clients.